Twitter forbids selling or buying followers or retweets, yet it has not imposed simple safeguards that could throttle those practices. • After our article was published, the New York attorney general opened an investigation into Devumi, the latest in a series of federal and state inquiries into fake accounts on social media. • Museums around the world are wrestling with the implications of a decision by the National Gallery of Art in Washington to postpone an exhibition because of sexual harassment accusations against the artist, Chuck Close. • Separately, the #MeToo moment could be catching up with Woody Allen. Stars are distancing themselves from him, and his distributor, Amazon, is discussing ending their relationship. • New York City subways have the worst on-time performance of any major rapid transit system in the world. A video tells the story of how it ended up in such a state. By ORA DeKORNFELD and ALEXANDRA GARCIA on Publish Date January 26, 2018. Despite the troubles, the subway does benefit some: In parts of Manhattan, being near a station adds $3.85 per square foot to the value of commercial property, according to one study. • With the transit system in decline, there is a growing consensus that property owners who benefit from proximity to the subway should shoulder more of its cost. Some asylum seekers fleeing the United States are learning that Canada is not the promised land that they had hoped for. • For the first time since the global economic crisis a decade ago, every major economy is expanding. • Amazon’s search for a second headquarters has yielded free research that the company can mine when picking spots for future warehouses and satellite offices. • Janet Yellen’s final meeting as chairwoman of the Federal Reserve is among the headlines to watch this week. • Make sure your medicine gets through customs. • This year, travel with wellness in mind. • Start the week with a red lentil stew spiced with turmeric, chile and ginger. • The Taliban used an ambulance packed with explosives to set off a blast that killed more than 100 people in Kabul, Afghanistan. Militants staged another attack early today near the city’s main military academy, killing at least 11 soldiers. • Stephen Wynn, the billionaire casino mogul, stepped down from the Republican National Committee after being accused of sexual misconduct. Separately, Senator Marco Rubio of Florida fired his chief of staff over allegations of improper conduct. • President Milos Zeman of the Czech Republic was re-elected. The populist leader has stoked resentment toward Muslim immigrants. • At the Australian Open, Caroline Wozniacki won her first major singles title, and Roger Federer his 20th. • “Maze Runner: The Death Cure” earned $23.5 million to dethrone “Jumanji” from the top spot at the North American box office. Writers from across the political spectrum discuss President Trump’s aborted effort to fire Robert Mueller, the special counsel. The country has not sufficiently responded to its doping scandal, international officials announced today, refusing to lift a ban for the Games in Pyeongchang, South Korea, in March. Bruno Mars won all six of the awards he was nominated for, including the top prizes of album, record and song of the year. The awards show also addressed topics including immigration, race and the #MeToo movement. Here’s a full list of the winners and photographs from the red carpet. Want more music news? Sign up for our email newsletter Louder. By CBS/RECORDING ACADEMY on Publish Date January 28, 2018. Ingvar Kamprad, a Swedish entrepreneur, became one of the world’s richest men by turning simply-designed, low-cost furniture into the Ikea empire. He was 91. 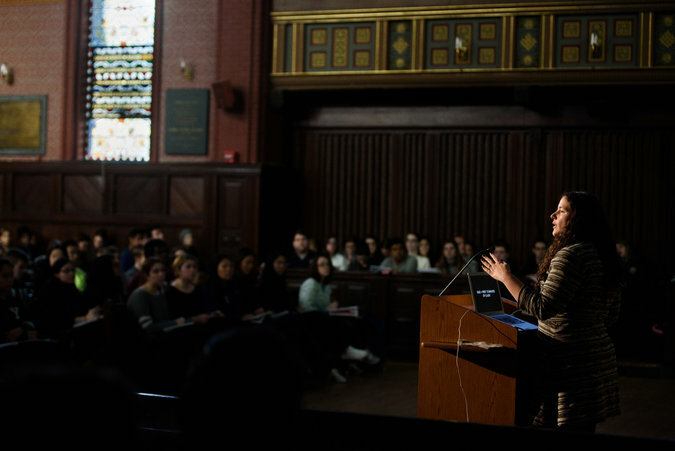 Psychology and the Good Life, which discusses how to lead a happier, more satisfying existence, is the most popular course in Yale’s 316-year history. About 1,200 students, nearly a quarter of the university’s undergraduates, have enrolled in the class. He was born in San Francisco and named after a Confederate general. He died as a celebrated poet of the U.S. and its people, especially the flinty farmers of New England. 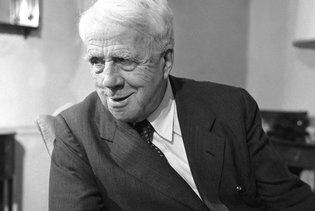 Robert Lee Frost, whose life was full of paradoxes, died on this day in 1963. A gifted observer of nature and the human spirit, he won four Pulitzer Prizes and spoke at John F. Kennedy’s inauguration in 1961. Frost lived for years in Vermont and New Hampshire, initially working as a farmer, reporter and shoemaker. His poetry, including works like “The Road Not Taken” and “Stopping by Woods on a Snowy Evening,” used colloquial language and spoke to an urbanized generation that longed for the simplicities of rural life. “I don’t like to write anything I don’t see,” he said before his 88th birthday.